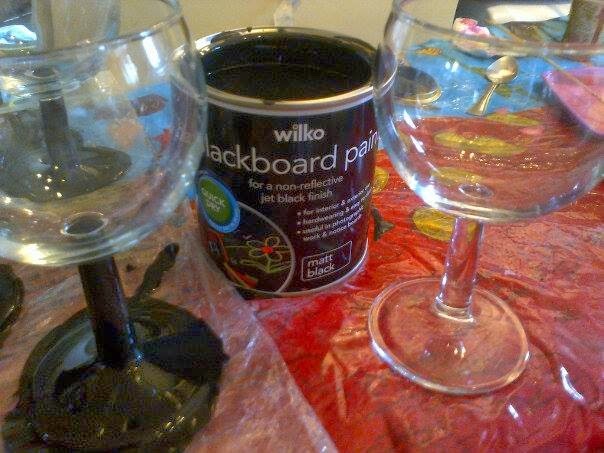 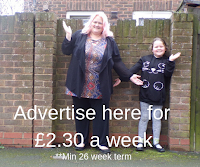 It was so easy to do, we got some paint from Wilko for £5.99 and a set of four wine glasses for 99p, and off we went. 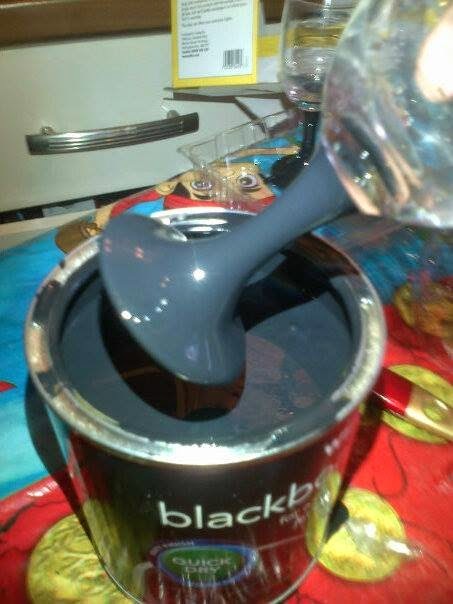 We dipped the stem of the glass into the paint and held it over the tin untill it stopped dripping, then we placed the glasses on the counter untill they had started to dry, this took a good few hours. 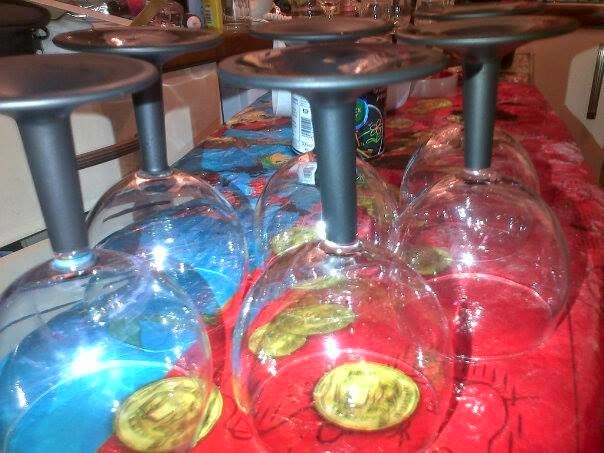 then we turned the glasses over so the stems were in the are, this dried the bottom of them. 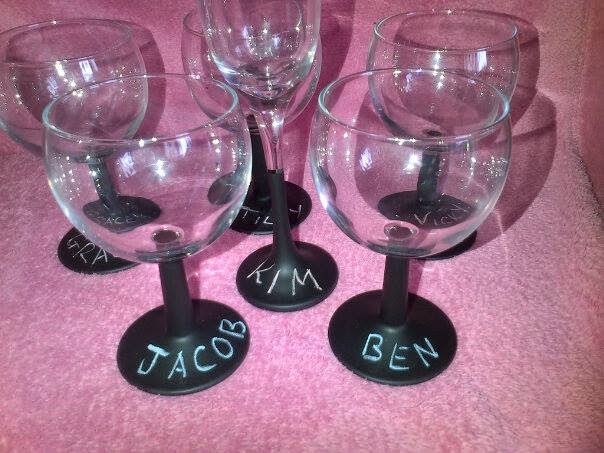 Once they are dry you can get some chalk and write names on them, this means your glass never gets mixed up with others. 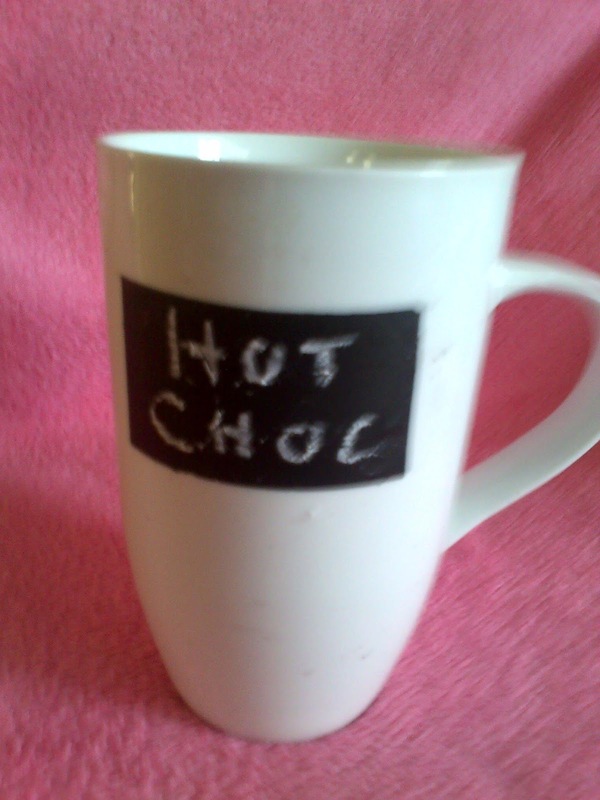 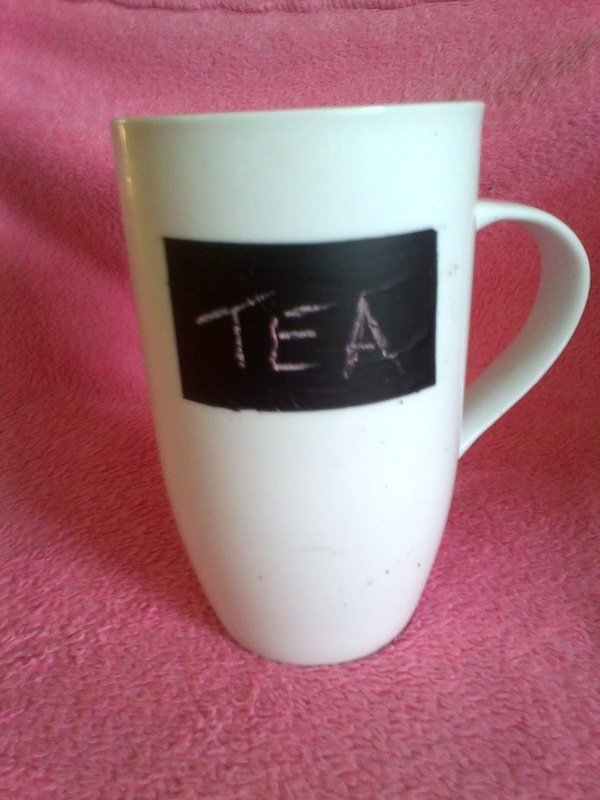 We can up with many other ideas to use the blackboard paint too, one of them was to add it to a mug, its so easy to forget whose tea is whose when there are a few of you or when you have loads of tea/coffee to make, then you can scribble on the mug.